This program features faculty members who are very active in research, a strong and flexible graduate curriculum, excellent facilities and resources, and highly competitive graduate student funding. Graduate Curriculum. Our graduate curriculum provides rigorous training emphasizing methods and theories in real-world and laboratory contexts. We encourage our students to collaborate on research projects with more than one faculty member during their graduate careers. The result is that they regularly present at national and international conferences, and publish substantially. Students are also provided pedagogical training in teaching. Students also receive certification in Quantitative Research Methods and in Health Psychology. Similarly, our students have frequently received grants from outside agencies such as SPSSI and NIH; many of these awards have been for two or more years. These qualities have meant that our placements of the PhD and post-docs have been excellent, with nearly all taking academic posts in research universities and liberal arts colleges. Download or view the program’s brochure in pdf format. 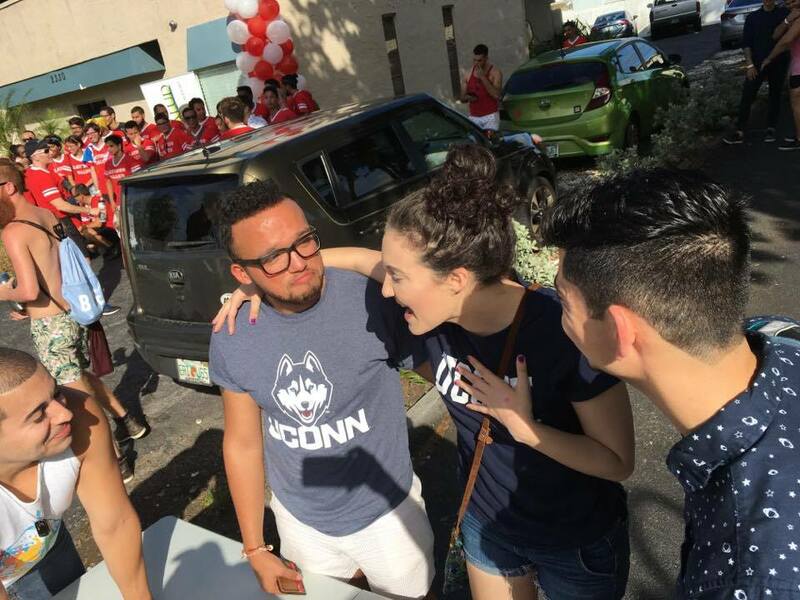 PhD student Devon Price gives a pep-talk to her RAs, who were collecting data at Wilton Manner, FL’s Stonewall Pride Parade with Latino Salud (2016). Program Facilities and Opportunities. 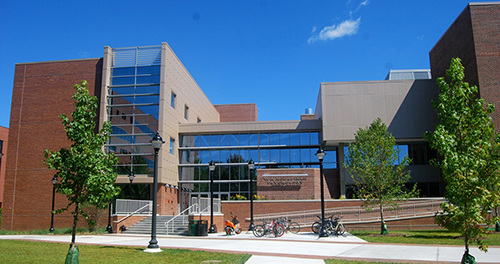 There are ample facilities for conducting social psychological research here, including a large undergraduate participant pool, access to several off-site adult and adolescent populations and contacts with other institutions such as hospitals, small group laboratories, computer laboratories, observation areas, and some of us have authored software to collect data via the world wide web. We have an active brown-bag talk series, in which students and faculty regularly speak. Moreover, nationally and internationally renowned scholars frequently also present their work here. Students can also avail themselves of talks in CHIP’s lecture series. Financial and Departmental Support. Entering students are eligible for up to five years of support, assuming satisfactory degree progress, and more support is possible. Support may take the form of fellowships, teaching assistantships, or research assistantships, and the stipends are highly competitive. The program also has a training program in Social Processes of AIDS (details here). The program brochure offers more details about funding levels. Some of our students have obtained prestigious external awards (e.g., from the NIMH). Additionally, students receive at least $500 for travel each year. Students have their own office space and access to computers. Application Forms. See our application page for more information.